Using CSS 3 and HTML 5 today developer can easily create a beautiful drop down menu that was once only able to be achieved using java script and static background image. 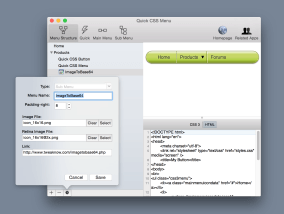 Menu created with CSS can be easily adapted to a different size without losing any quality and will greatly reduce bandwidth usage. Although CSS is very easy to learn and use, creating menu with CSS by hand would be very time consuming and surely a tedious work. 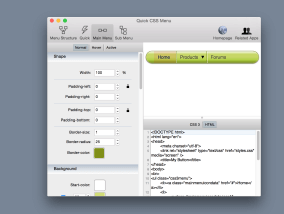 Large number of CSS properties need to be set properly to create a beautiful menu. 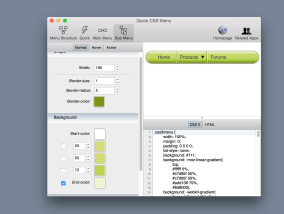 Using Quick CSS Menu, the process is much more fun. Just a few clicks here and there than your menu is ready to use. Give it a try. Easy to use. 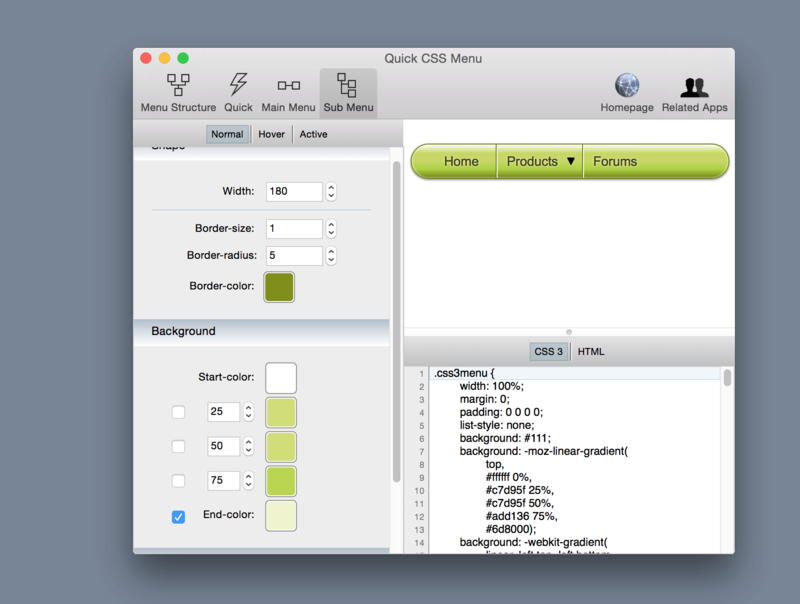 With Quick CSS Menu you can easily change size, color, border, and a lot of other settings automatically. Live preview. 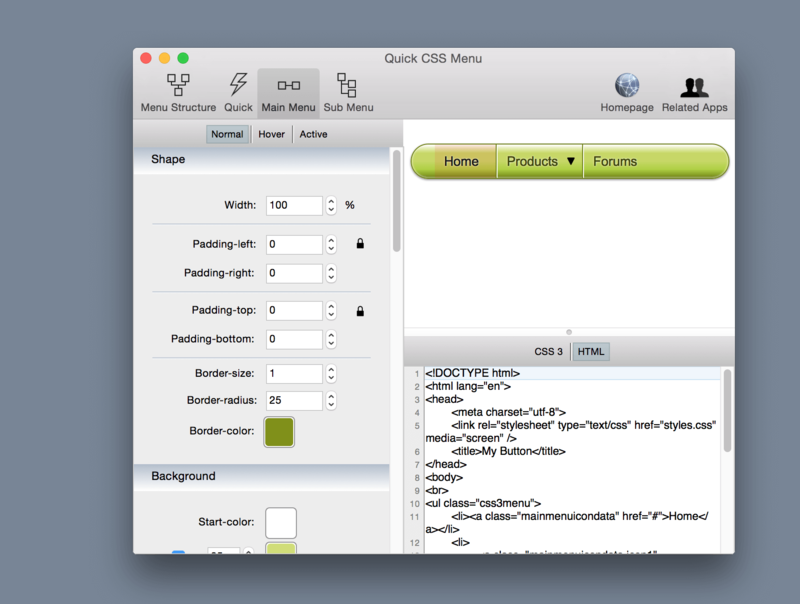 All changes can be seen directly through an embedded web browser included in the program. Quick mode. With only one or two clicks you can create a beautiful menu. Image support in menu design. Both standard and retina version of PNG, JPG, or Gif image can be added to the menu design. 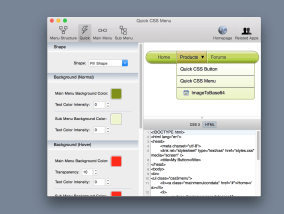 Automatically generate HTML and CSS code. All codes are tested to work properly on major web browsers (Internet Explorer, Firefox, Chrome, Safari, and Opera).